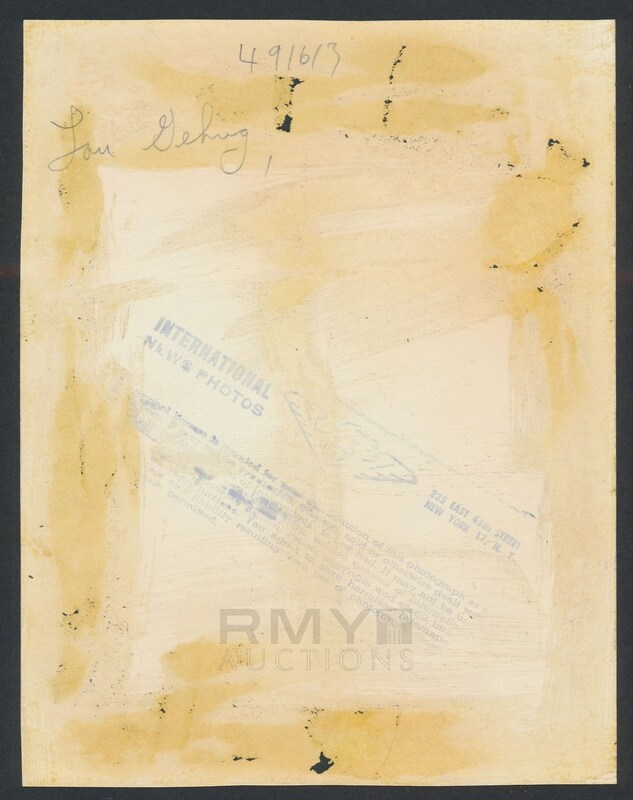 Lot # 34: 1927 Lou Gehrig, Yankees Superstar "Unreal Batting Photo" ONE OF HIS BEST! 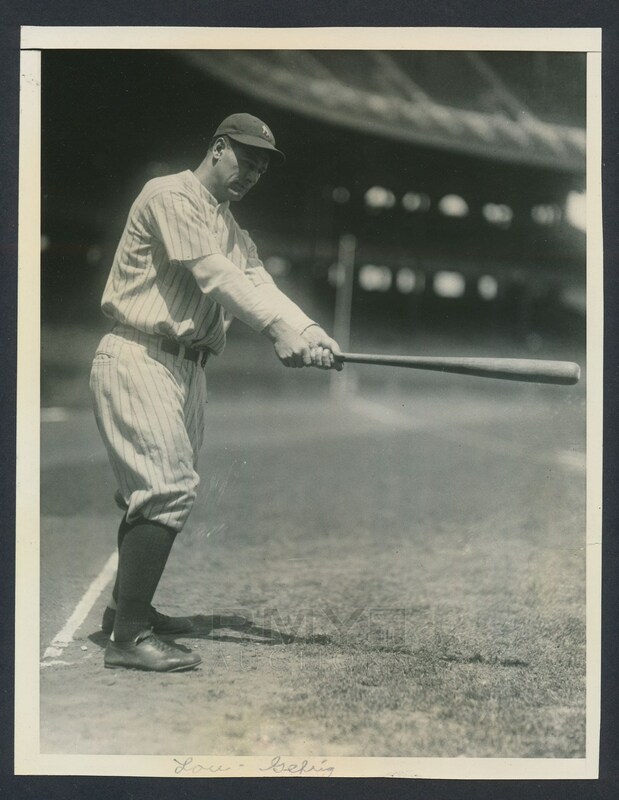 1927 Photograph of Lou Gehrig showing off his batting form in full uniform with the Yankees. Among the best image of Gehrig ever taken, this is a crystal clear example from the original negative. This is a 1940's re-strike from the International News and stamped on the back, the condition and quality make this a perfect 10/10! Without a doubt, one of the best Gehrig images ever taken and from his iconic 1927 season!